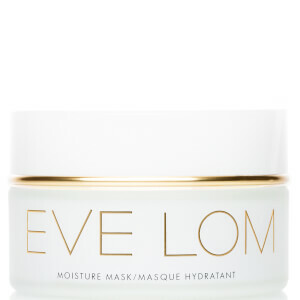 Illuminate your complexion with a lit-from-within glow with the Instant Radiance Set from Eve Lom. Combining three luxurious and award-winning skincare formulas, the kit promises to cleanse, rejuvenate and refine for a smooth, healthy-looking visage. A rich, firming moisturiser infused with oat kernel that works to boost elasticity and combat uneven skin tone, whilst a blend of fatty and amino acids deeply nourish, plump and improve suppleness to reveal a smooth, refined appearance. Utilising a cocktail of antioxidants, including Rosehip, Raspberry and Carrot Oil to protect from environmental aggressors, the fast-absorbing cream is naturally fragranced with the finest Bulgarian Rose Otto oil to comfort the skin and senses. Hyaluronic Acid delivers long-lasting hydration and Vitamin C promotes cell renewal for a velvety soft, luminous complexion. A moisturising lip treatment with hint of colour. Delivering a lip-plumping effect, the lip treatment provides triple firming action by simulating the production of collagen and elastin, and expertly protects against damaging environmental factors. Intensely moisturising and rejuvenating, the balm delivers a hint of tint whilst cooling on application with its Menthol active. Infused with Beeswax to nourish and condition your pout. Lips are left soft, hydrated and polished. A deep, skin-reviving cleanse described by Vogue as 'probably the best cleanser in the world'. Multi-purpose and multi-award-winning, the balm boasts an expertly balanced formula that suits all skin types, and combines the brand's signature blend of four aromatic plant oils (Clove, Eucalyptus, Hops and Egyptian Chamomile) to promote glowing, radiant, smoother-looking skin. Providing a deep yet gentle cleanse the formula effortlessly melts away dirt and makeup (even stubborn waterproof formulas) while gently exfoliating and decongesting without drying or stripping skin. It helps to slough away dead skin cells, smoothing and refining skin's texture, preparing the complexion for the next steps in your skincare regime. 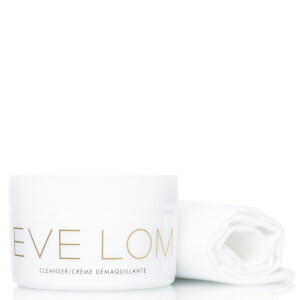 Cream: Apply morning and night to entire face and neck, avoiding the eye contour, using gentle smoothing strokes. Lip Balm: Apply evenly to lips as often as desired. Cleanser: Apply the cleanser once a day, at night for normal/dry skin types or twice a day, morning and night for congested skins. Massage a small amount onto the face and neck over the make-up and grime from the day. Cream: Aqua (Water), HDI/Trimethylol Hexyllactone Crosspolymer, Glycerin, Isostearyl Neopentanoate, C12-15 Alkyl Benzoate, Myristyl Myristate, Phenoxyethanol, Cetearyl Olivate, Hydroxyethyl Acrylate/Sodium Acryloyldimethyl Taurate Copolymer, Sorbitan Olivate, Ascorbyl Tetraisopalmitate, Carbomer, Avena Sativa (Oat) Kernel Extract, Squalane, Dipalmitoyl Hydroxyproline, Rosa Eglentaria (Rosehip) Seed Oil, Sodium Hyaluronate, Sodium Citrate, Xanthan Gum, Rubus Idaeus (Raspberry) Seed Oil, Ethylhexylglycerin, Disodium Edta, Rosa Damascena Flower Oil, Tocopherol, Helianthus Annuus (Sunflower) Seed Oil, Sodium Hydroxide, Polysorbate 60, Silica, Mica, Sorbitan Isostearate, Daucus Carota Sativa (Carrot) Root Extract, Daucus Carota Sativa (Carrot) Seed Oil, Beta-Carotene, Rosmarinus Officinalis (Rosemary) Leaf Extract, Ascorbyl, Palmitate, Benzyl Alcohol, Dehydroacetic Acid, Citral, Eugenol, Geraniol, Citronellol, Linalool, CI 77891 (Titanium Dioxide), CI 75470 (Carmine). Lip Balm: Bis-Diglyceryl Polyacyladipate-2, Hydrogenated Polydecene, Cera Microcristallina (Microcrystalline Wax), Zinc Oxide, Menthol, Dipalmitoyl Hydroxyproline, Cera Alba (Beeswax), Phenoxyethanol, Synthetic Fluorphlogopite, Ethylhexylglycerin, Polyhydroxystearic Acid, CI 77491 (Iron Oxides), CI 15850 (Red 7), CI 17200 (Red 33).